ORLANDO, FL—After recently visiting the Texas Rangers to discuss the possibility of signing a long-term contract, All-Star first baseman Prince Fielder told reporters Monday he's beginning to notice how many complimentary meals he's getting from interested teams. 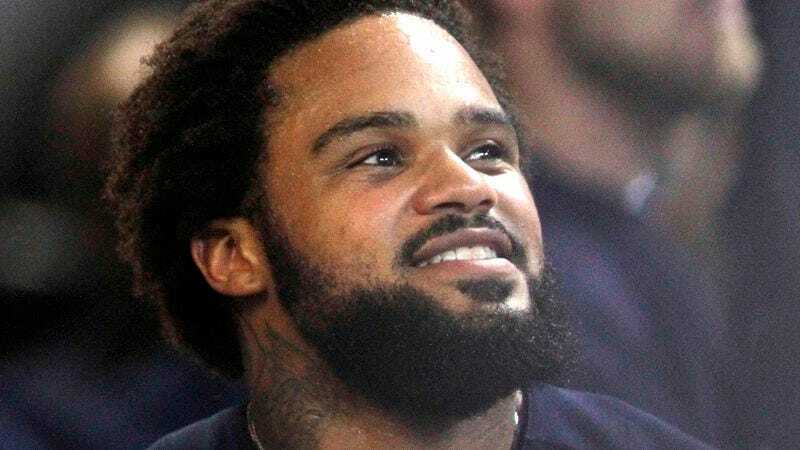 "In Chicago, they took me to a steakhouse, it was top-flight seafood in D.C., and in Dallas, we went out for barbecue and they even comped my breakfast buffet at the hotel the next morning," said Fielder, adding that he has been craving Mexican lately and might entertain an offer from the Dodgers if it means scoring free tacos. "At this rate, I'm almost positive I'm going to sign a one-year deal so I can do this again next winter." Upon hearing the news, pitcher CC Sabathia reportedly put in a call to his agent to inquire about getting out of his current contract with the Yankees.